This interview with John Fleck, a former water reporter and current Director of the Water Resources Program at the University of New Mexico first appeared on Vox.com. The interview focuses on Fleck’s new book Water Is for Fighting Over which covers the water crisis in the West and what the media often gets wrong about covering crisis. It places particular emphasis on the conservation efforts having a positive impact that are often overlooked. Read the interview between fleck and Vox reporter Brad Plummer in its entirety below. Plenty of stories about water in the West argue that there’s a looming crisis. So is your book an explicit reaction to that? Yeah, I grew up in that narrative. I grew up in Southern California reading Cadillac Desert [Marc Reisner’s classic book about the herculean task of damming the Colorado River and watering the West] as a young journalist writing about water in Los Angeles. At the time, there was this consciousness that we were coming to a reckoning. You just needed to do a simple linear extrapolation: Cities and farms use this much water now, the population is growing this much, we’re going to need this much more water, the water isn’t there, so we’re headed for a crash. So what changed your mind? It’s not like these problems are fake. 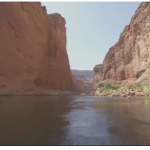 If you look at the Colorado River, for instance, the water supply has been declining since the unusually wet 1920s — and is expected to decline more with climate change — while water use has been rising over time. It looks bad! Yeah, I will say, the challenges are real, and the challenges are really hard. I’ve spent a lot of time at Lake Mead, the big Colorado River reservoir that supplies water for Phoenix, Los Angeles, Las Vegas, and farms around there. There are a few particular spots I go to on the lake, and every time I’d visit, I’d have to walk farther, because the lake is receding. We’re taking more water out of Lake Mead every year than comes in. That’s a real challenge, and that would suggest the crisis narrative is correct. But I’ve also spent a lot of time looking at places where we’re responding to this challenge and succeeding in using less water. Lake Mead is still shrinking, but it’s now shrinking more slowly. It had been dropping by 10 to 12 feet a year; this year it’s only going to drop by 2 to 3 feet. Hm, and I guess you do see that on the Colorado River chart [above] — overall water use has peaked and even fallen since around 2000, even with the population still growing. Where’s the best place to see this adaptation in action? My favorite example is my own community here in Albuquerque, which depends on imported Colorado River water. We used to be very dependent on over-pumping our groundwater aquifers. So I expected to chronicle this crash. But instead we’ve seen remarkable adaptation. Our per capita water use has been cut almost by half since the mid-1990s, even as our population has grown. It’s an amazing example of doing more with less resources. We’ve been so successful at using less water that our aquifers have been rebounding. What’s really interesting is that no one fully understands how we did it. There were certainly important policy initiatives like lawn buyback programs [helping homeowners replace thirsty green lawns with drought-tolerant crops] and publicity campaigns about water use. But maybe even more important, there was this attitude change that’s difficult to measure. You just find people’s attitudes toward their lawns or landscaping or low-flow toilets change. This conservation ethic gets hardwired into the community. And it’s made a difference. Las Vegas seems like another example. They’ve long been worried about dwindling supplies in Lake Mead, which is the only reason that city can exist. Yet in the past decade, Las Vegas has managed to cut water use 30 percent. You see this over and over again in the West in communities faced with water problems. Las Vegas is another great example. Southern Californiamanaged to cut back on water use in the 2000s [when the federal government ordered the state to reduce its Colorado River intake]. These are major conservation successes. One of the questions I often ask water managers is, Where’s the floor? Is there a limit to conservation? How low do you think your gallons per capita per day can go? And nobody has an answer, we don’t know. It keeps going lower than expected. Partly I don’t think we’ve fully grasped this behavioral change. Because it’s hard to measure, and it’s hard to predict. But again, Lake Mead’s still dropping, so we haven’t done enough yet. We have to learn how this is working and push harder and faster down this path. That brings us to a different problem. It’s fine to say that people can figure out how to conserve water. But there’s also this institutional challenge. 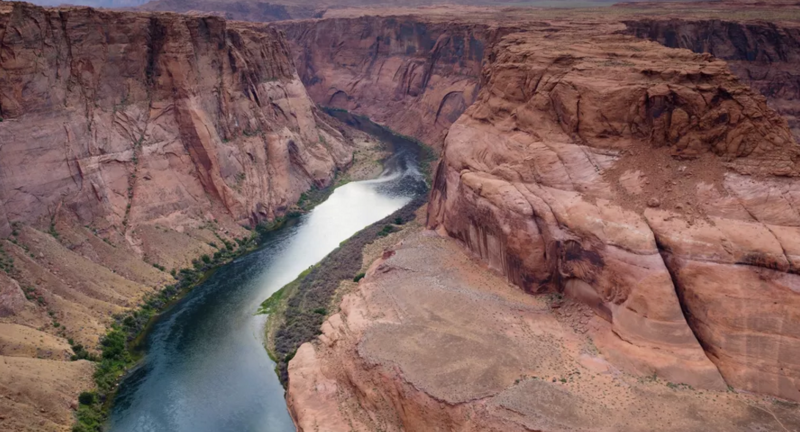 The Colorado River runs through seven states and is shared by a whole host of farmers and cities, it’s governed by byzantine laws and agreements, and they all need to work together to solve these water shortages. And that leads to coordination problems. Like Phoenix might think to itself, Hey, if we conserve water, farmers in California will just use it, so why bother? Yeah, this is the biggest challenge and also the biggest risk of failure. With the Colorado River, you have seven states in the United States and two in Mexico. And then within each state you have a bunch of water agencies making their own separate decisions. So coming up with these institutional frameworks that allow us to walk our water use back from the supply cliff in a way that preserves equity and fairness is a really hard problem. But this is also key to my argument. Over the last 15 to 25 years, we’ve actually seen a lot of sophisticated work in developing these institutions. And it’s often based on fuzzy formal and informal relationships. There’s often this desire to say, look, the only solution to a tragedy of the commons or a resource problem is to impose regulation from above. But with the Colorado River, we don’t have the mechanisms to do that. The federal government can’t come in and say, Arizona, you use this much less, California, you gotta use this much less, Nevada, that much less. Instead, people have to get together and figure out how to take and trade and give. And we do see this happen. We saw it happen in 2001, in an agreement on how to rein in California’s overuse of the Colorado River, and then in 2007 when the first steps were taken for a collaborative arrangement in the event of a shortage [in Lake Mead]. This was one of the hardest things to write about, because there’s not a clear, crisp thing you can point to. It often starts with informal meetings and small steps to build trust and builds out very slowly from there. It’s an ongoing and never-ending process. One thing you often hear economists say is that if we priced water more accurately, or if we had better markets to trade water, it’d be far easier to conserve and allocate scarce resources. Why aren’t those approaches more widespread? Markets really can be an awesome tool, but they don’t just exist magically. Landing at an economics department at the University of New Mexico has given me a much greater appreciation for the institutional side of markets. You have to look carefully at how the market gets formed, what are the rules of the game, how is the market structured and for the benefit of whom? So one thing central to markets is the process of clarifying property rights. That’s fairly straightforward with land. But with water, because of the way it moves through the landscape, clarifying property rights has always been a challenge. You also have to recognize the externalities. Say we build a water market that allows a farmer to sell his water rights [say, to a city during a drought]. Then what happens to the folks selling pesticides or tractors? They lose out. And I think that’s one of the reasons why we haven’t seen more creation of water markets more broadly … whenever you create one, there are going to be losers who aren’t compensated. And those people have a seat at the table when the market is being created. That said, there are examples of success stories here. Palo Verde Irrigation District in Southern California has created a market to move water. But they did it in a way that limited the amount of water that could be moved in order to preserve the agricultural community there, which was an important consideration. So it takes a lot of experimentation to get these markets right. It does seem crazy to grow alfalfa in the desert. But alfalfa is a really valuable and important part of our national and global food system. It provides feed for dairies and cattle to provide our burgers and cheese pizzas. And it actually makes sense for farmers in the desert. You can grow it year-round. It’s a sturdy, reliable crop. The cost of growing it is low. And it’s particularly robust in the face of drought. If alfalfa plants have less water, they hunker down. Their yield goes down, but the plants don’t die — with a lot of other crops, that’s not the case. So it’s really drought-tolerant. That also provides the region with flexibility when there’s less water. When water goes down, farmers can easily reduce their acreage and devote more water to high-value crops like winter vegetables. So it actually provides this buffer, precisely because it’s a low-value crop. And as we develop more sophisticated policy mechanisms that compensate farmers when they transfer that water to other uses, as we’re seeing in Imperial right now, then alfalfa can provide a sort of safety valve. Your book is mainly about the Colorado River, which supplies Southern California, but it doesn’t look at California as a whole, which is currently dealing with five years of the worst drought on record. Watching things unfold there, it doesn’t seem like an entirely optimistic story. We’ve seen some cities manage to cut back on water pretty impressively. But we’ve also seen some rural areas run get left behind, and we see farmers in the Central Valley dangerously depleting their limited groundwater. Yeah, I do think there are parts of California that could be a counterpoint — a look at what failure might look like. I’m especially interested in the failures of groundwater governance in California’s Central Valley, where you have a race to the bottom that is really troubling. It’s interesting to contrast this with groundwater governance in Southern California, which grew up in the 1930s. The aquifers there are relatively well-managed to the point that they did provide resilience in the drought. The aquifers in central California are not, and I’m fascinated by why that is. But the other thing about California is that you do see a lot of the adaptive capacity that I write about. After five years of the worst drought in the historic record, California’s economy is still solid. The groundwater governance is a problem, but even the agricultural communities are intact. 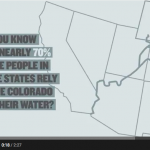 Another interesting thing is to look at the communities running out of water. East Porterville is the classic example. The national media has descended on California to write about this rural community where the wells have run dry, and it’s a terrible problem for those who live there. But there’s a second story that hasn’t been explored as well because of the incentive structures in journalism. If you look next door to Porterville itself, they didn’t run out of water. And the difference has a lot to do with the socioeconomics of land use planning and infrastructure in poor communities. So I think we need to study those differences and try to learn from them. What are the lessons we can learn that can prevent East Portervilles in the future? Does global warming alter the picture you lay out in your book? It seems, by far, like the biggest problem going forward for water management. So with climate change, the science is pretty clear that we’ve got less water to work with here in the West going forward. The models tell us that evaporative losses will be higher, plants will transpire more water. But we’ll still have this highly variable system. There will be wet periods and dry periods — it’s just that in both, there will be less water to work with. And for policymakers, the things we have to do in response are really dominated by that variability: What do we do during the dry parts of the cycle to keep things alive, and what do we do during the wetter parts of the cycle to stash water and not overshoot? And the tools you develop to deal with that look the same with or without climate change. Climate change just puts more stress on them. We’ve been talking a lot about how to make sure there’s enough water for people who need it in the West. But there’s this other piece — water is a vital part of many ecosystems. And often when there’s scarcity, the environment loses out. We see this in California, where there’s not enough water for the endangered delta smelt in the Sacramento–San Joaquin estuary and farmers are really pushing for that water. Is there any case for optimism here? Yeah, but it’s a fragile optimism. We built these dams and canals to serve cities and farms, and we built them at a time when the environment and the flow of the river itself wasn’t a driving concern. So going back and adding that value in is hard. First of all, it takes water. And we’ve already allocated all that water. But second of all, we often don’t have the institutional structures in place. And overlaying these environmental values becomes institutionally difficult. But you are starting to see signs that this is an important consideration. 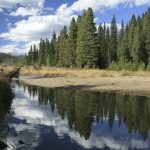 If you look at water management in Colorado, they’ve figured out with great tension and difficulty how to bring in recreationists and environmentalists, people pushing to protect instream flows. Even in the lower Colorado River, we did this remarkable experiment with an environmental pulse flow in 2014 [to revive ecosystems in the now virtually dry river delta]. So there are these things that give you optimism. But we haven’t created enough of those institutional structures, and they’re not mature enough. As things get tense, you can see how the environment might lose out. There does seem to be this running argument in your book that thinkingtoo pessimistically about water issues — assuming that we’ll have a future dominated by crisis and conflict — can actually be counterproductive. Can you expand on this? There’s this famous Mark Twain quote, “Whiskey is for drinking and water is for fighting,” that has become something of a running joke among people who cover water. Set aside that Mark Twain never actually said this. This notion that water is for fighting over, and that the response to scarcity has to be for everyone to go into a defensive crouch and prepare for battle, gets in the way of adaptation and building these collaborative governance structures. There’s this classic theme in Arizona politics that California’s just out to steal all their water. 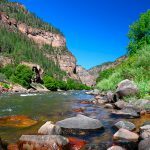 Arizona politicians fought [efforts to expand and share Colorado River water] from the beginning, and as a result of not joining the collaborative water sharing arrangements, they really didn’t get [the state’s] share of the Colorado River until quite late, in a way that left it with junior water rights and a riskier position. If you go into this fighting crouch, then you can’t build the institutional capacity and flexibility to adaptively share dwindling resources… then that’s how we crash the system! And it’s this ability to negotiate these collaborative deals that’s going to be crucial. Transcript has been edited lightly for length and clarity.